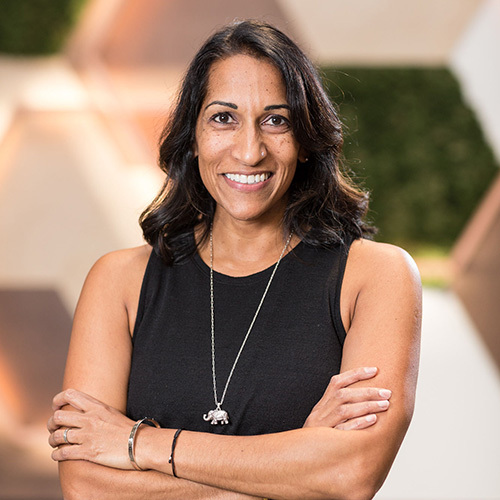 Embody Health Centre was founded by Anita Venugopal in 2016 as a place where patients can come to heal, and connect with themselves. Together with our exceptional health-care professionals, we will work as a team to help you live your best life. We want to help you accept your limitations, and learn to live successfully within them. What do you want to manifest or exemplify? That is what Embody means to me. Do you want to Embody a healthy lifestyle? Do you want to Embody happiness? My vision is that Embody Health Centre is a place where patients can come to heal, and connect with themselves. Together with our exceptional health-care professionals, we will work as a team to help you live your best life. We want to help you accept your limitations, and learn to live successfully within them. Anita has been a physiotherapist since 1999, graduating from The University of Western Ontario. In her 15-plus-years career, she has taken extensive continuing education courses to improve her skills and help her practice. Anita has achieved internationally recognized qualifications in hands-on manual and manipulative therapy by becoming a Fellow of the Canadian Academy of Manipulative Physiotherapy (FCAMPT). She has participated in extensive post-graduate education in the area of orthopaedics. Anita has obtained her acupuncture certification through the Acupuncture Foundation of Canada, and completed the Integrated Dry Needling Program. Training in both types of acupuncture allows her to be selective in what would benefit her clients the most. Anita is also a Stott trained Pilates Instructor and enjoys challenging her clients on both the mat and the Reformer. She believes a strong core is the foundation to a home or relationship; without it, everything crumbles. Understanding that a healthy body requires both strength and flexibility, Anita became a 200RYT Yoga instructor. Having certifications in both Yoga and Pilates, Anita is able to tailor individual programs to patients of all abilities. She enjoys working one on one with clients, teaching them to safely move through different poses, and without injury. Jessica completed her Master of Science, Physiotherapy program in 2016 at McMaster University, and a Honours Bachelor of Science in Human Kinetics, minor in Nutrition at the University of Guelph in 2013. Since graduating, Jessica has furthered her Physiotherapy education by completing post graduate courses, which include the Level 1 and 2 Manual Therapy Levels, certification in Soft Tissue Release, and Acupuncture. Jessica has obtained her Pelvic Health certification through the Pelvic Health Solutions Program. Education and training has focused on treating and assessing patients with pelvic pain, incontinence and prolapse. She has completed the Level 1, 2 and 3 courses, and a course focusing on pregnancy and treating pelvic girdle pain. Jessica's clinical interest include pelvic health, shoulder injuries, low back pain, post-surgical rehabilitation, and sport injury rehabilitation. Her treatment approach combines techniques in manual therapy, acupuncture, soft tissue release and specialized exercises. Her personal interests include soccer, yoga, dance and running. Sherri has been providing registered massage therapy treatments in the Kitchener-Waterloo area since 2009. 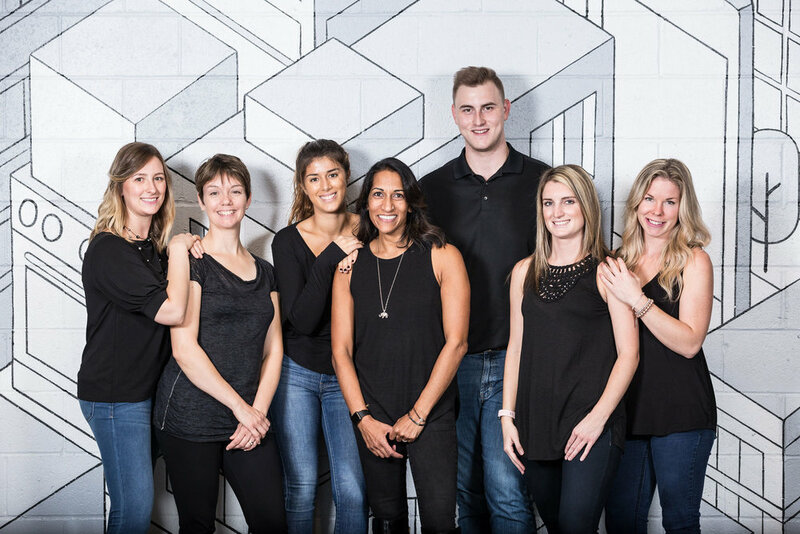 Prior to joining the Embody Health Centre team, she provided RMT treatments at Waterloo Sports Medicine Centres and Come Alive Fitness. She is registered and in good standing with the College of Massage Therapists of Ontario (CMTO) regulatory body and a member of the Registered Massage Therapist Association of Ontario (RMTAO)—the RMT professional association. Sherri obtained my Massage Therapy Diploma from the Canadian College of Massage and Hydrotherapy in Cambridge, where she graduated with honours in 2009. She also has a bachelor’s degree in Environmental Studies from the University of Waterloo. Ask her about her previous life as a field biologist sometime. Natasha is passionate about massage therapy and the benefits it can render for all ages, health and fitness levels. She has been practicing for over 8 years since receiving an Advanced Diploma in Massage Therapy from Centennial College. Natasha's holistic philosophy of care guides her approach, working with you towards your individual goals and outcomes through a combination of massage and manual therapy techniques. Appointments can includes massage and myofascial techniques, joint play/manipulation, basic neuromuscular integration & structural alignment, pre-/post-natal massage, remedial exercise guidance, thai yoga massage techniques, and more. Years of practice within fitness-based clinics has driven her passion for movement as a key part of our daily and long-term health. Natasha believes pain does not always mean we need to stop moving but that we must _start moving differently. She enjoys spending time within your therapy plan on identifying daily movements that can help or hinder your posture, energy, and overall well-being. "I want to help you live your healthy life, past the aches & pains, not just today but for your future." Peter is a recent graduate from the Canadian College of Massage and Hydrotherapy, Peter is excited to grow his skills as a therapist while delivering a professional and therapeutic treatment. Peter has received most of his experience from volunteering with the community. This has given him unique experience working with a wide variety of clients suffering from many different conditions such as: Advanced traumatic brain injuries and clients with disabilities. High intensity athletes before practices and games and regular people looking to relax after a long day at the office. With many years of experience playing numerous sports, he is no stranger to injury. Massage therapy has personally helped him to recover and maintain an active life, showing him the true benefits of manual therapy. Peter hopes to use these techniques to provide an effective and safe treatment for his clients. When booking an appointment with Peter you can expect a friendly, warm and professional environment where your needs are understood and a treatment plan is created to get you where you want to be. Peter relies on his understanding of physiology and Anatomy along with his manual skills to deliver an effective treatment. He will create a realistic treatment supplemented with stretching and strengthening techniques to give you the shortest recovery time possible. Iysha Nobes is a compassionate Yoga Therapist who is committed to teaching empowering and transformative group yoga classes, private yoga therapy sessions and mindful meditation classes. Offering therapeutic yoga workshops and retreats all across the globe, Iysha works with a wide variety of clients to create long-lasting healing in the body and mind. Born and raised in Kitchener, she has been practicing yoga since the age of 12, and started teaching yoga at the early age of 15. Since then, she has taught yoga all across Canada and the US, as well as South East Asia, and Latin America. After receiving her 200 hour certification at an Ashram in Bali, she went on to obtain her 500 hour certification as an “Advanced Teacher of Therapeutic Yoga” with the Kripalu School of Yoga in Massachusetts. She has also completed trainings with Integrative Yoga Therapy and Yandara Yoga Institute. Iysha now has over 800 hours of accredited yoga and somatic training. She uses her knowledge and skills to help improve the health & wellbeing of people worldwide.